Have a large music collection, enjoy sharing and listening to music with your friends and family? Love online streaming services and internet radio? The Cocktail Audio X30 does it all and more! Stunning, stylish with a high quality finish plus a multitude of additional features that would make it one of the most wanted devices for any music lover. The cocktail Audio is an excellent high-end component with a high resolution playback that produces excellent sound. 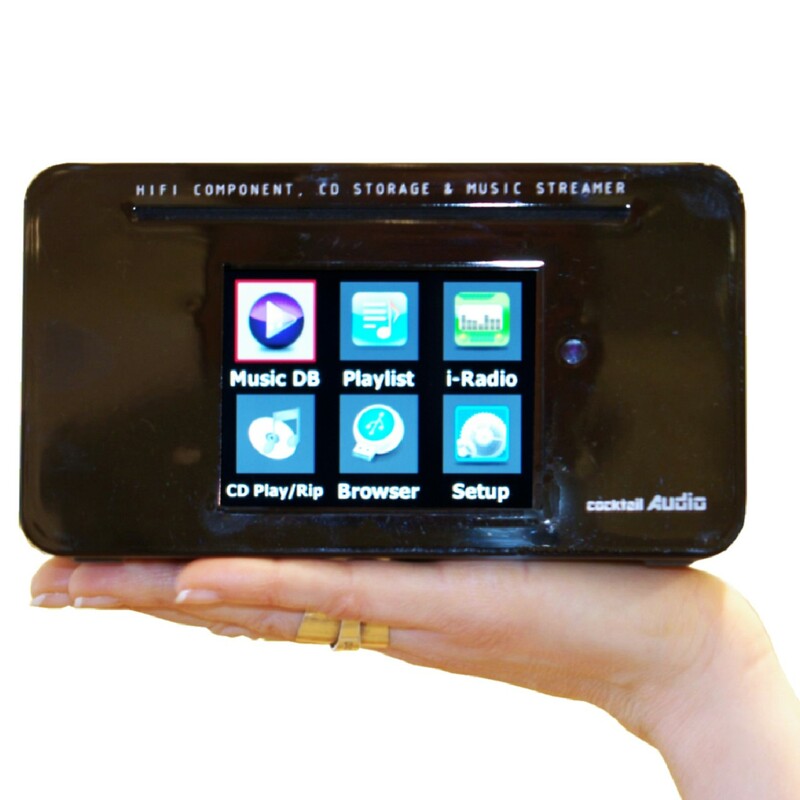 The X30 supports a range of music formats including lossless and also supports gapless playback. With its 5” colour LCD screen and user friendly interface the X30 is easy to configure and use. Record your favourite radio shows, access ‘BBC On Demand’ and listen to podcasts using the iRadio service* . Bring old cassettes and LP collection back to life by recording them on the X30 along with all your music collection on one modern smart media centre. The X30 also supports many network protocols that will enable streaming and control via smartphones, tablets, NAS devices and much more. Just add a pair of speakers or connect it to an existing system and enjoy the smooth high quality sound. The ideal Hi-Fi component for gadget lovers, geeks and music lovers of all ages. *Optional Wi-Fi dongle required for wireless. Reblogged this on Cocktail Audio UK.